Home>New Songs>THEY. Songs> THEY. 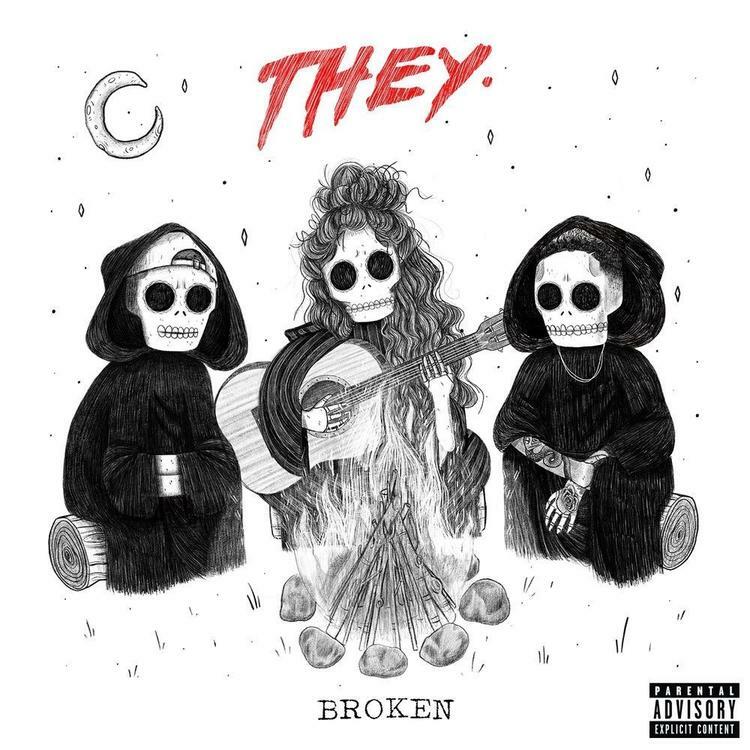 & Jessie Reyez Express Their Deepest Emotions On "Broken"
THEY. touched down with their debut album Nü Religion: Hyena in 2017, and fans have been eager for a new project from the talented duo ever since. Dante Jones and Drew Love are ready to release their follow up effort Fireside, which is expected to be delivered to the world on November 9. The R&B, Rock, and Neo-Soul influenced duo is following up their Wiz Khalifa assisted single "What I Know Now" with another gem. With the help of Jessie Reyez, THEY. constructs an emotional tour de force with "Broken." Reyez pours her soul onto the song first. The elegant guitar licks create the ideal backdrop for her soulful vocals to air out to perfection. Reyez steals the song with her riveting performance, and that's no slight on THEY. Dante and Drew handle their portion well, and picked an immaculate feature to complete "Broken." SONGS THEY. & Jessie Reyez Express Their Deepest Emotions On "Broken"